I’m told by my parents that growing up we were poor. We had very little extra money. We did not go on fancy vacations, but we camped quite a bit, lived at the beach during the summer,Â went fishing, panned for gold ( didn’t find any, but it was fun), took road trips to visit relatives and when I was old enough, went to Disneyland every time someone came to visit. Living in Southern California, it was cheap to go: no hotels and we took food in with us. If you need a guide, send me an email. I can take you through blindfolded. Thus were the frugal tendencies of my adult life formed. So, when I found out I had celiac you can imagine myÂ surprise at the price of gluten free foods! Talk about sticker shock! I reluctantly bought some things and took them home. After eating some (especially frozen foods) I vowed to come up with good tasting recipes that were easy on my gluten free budget. 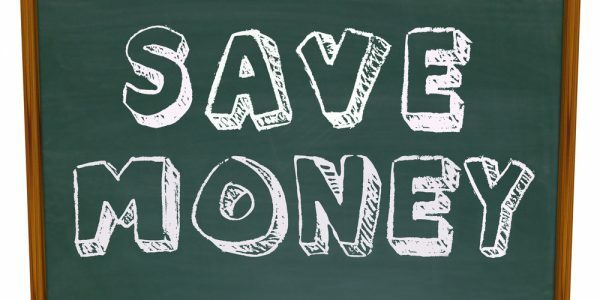 You want to save money!Â I understand that perfectly! This is what I doÂ to stretch my food dollars. I am going to come out and admit it right away. I am not a couponer! I know, I could save a lot more money by using coupons.Â I have not sat down and disciplined myself to use them yet. I admire those of you who do. Well, if I don’t use coupons how do I save money? Tip#1Â Shop the mark down section of your store! Don’t look at me like that. I know that the items I buy that are marked down are close to their expiration date. So? I have landed my best deals that way. For example,Â I walked into our local Safeway and started to look at the meat section. There in the meat case were pre-packaged chicken breasts with the bone. Each package had 8 chicken breasts in them. The cost for each package? They averaged about $2.30 for each package. No, I am not joking. I had to take a second look to make sure I saw that right. I bought 10 packages and brought them home. You should have seen the face of the guy at the checkout. He thought I was nuts. Some went to a friend of mine (she and I share good deals we find),some went to my adult children and the rest went to the freezer. Always look! Tip #2Â Learn to Cook! This is a hard one if you don’t like to cook and are dreading learning how to cook gluten free. I encourage you to start with something easy, like cookies or pancakes or muffins, things that are more forgiving and a whole lot of fun to make. Build your confidence with these first and then tackle the next hardest thing which would be sauces and gravy. Make yeast breads in a bread machine ( with all the money you save you can go buy one). If you will slowly build up your skills you will be encouraged in your efforts and more willing to tackle something that looks hard, like angel food cake. Go bake one for the Gipper. I’m not saying anything new here guys. These tips have been around since the stone age. But, we have a tendency to get in a rut and can’t see the forest for the trees ( is that enough metaphors strung together for you?). When you plan out your weekly meals something magical happens. The dinner time anxiety attack melts away. You know what you are going to do and you are prepared. It is a great feeling to be in control. Tip #4Â Pre-cook as much as you can. We call it “prepping”. When you bring home that bargain meat or the 5 bags of zucchini the neighbor gave you, you need to attack them right away. If you don’t, forgetfulness sets in and you could end upÂ with some very stinky stuff. The best thing to precook is meat. Cook up your hamburger and freeze it in 2 cup portions. Tacos, nachos, enchiladas, spaghetti sauce, cheeseburger pie are all at the ready because you had the foresight to cook your meat ahead of time. Same with chicken. Grill some, boil some, bake some and place in your freezer. Grilled, sliced chicken breasts are perfect for a quick salad. Boiled, shredded meat makes getting chicken and dumplings on the table in record time. Baked chicken cubes make a mighty tasty chili and take no time at all. Seeing a pattern here. An investment in time on the upfront is a major savings of time when you are busy and have no time. Plan, Plan, Plan! Make cookies, muffins, quick breads even pancakes ahead and freeze. Pop them out, warm them up, instant breakfast! See how easy it is? But you say you have no time? Well, then you need to remember this trick. Every time you make dinner, lunch or breakfast and it is something that can be frozen,make TWO or THREE batches. It won’t take you that much longer and everything is out anyway. Cool down the extras, wrap, label and freeze. If you will be diligent and do this for 2 weeks you will have enough meals and goodies set aside to last you for another 2 to 4 weeks. Cool! Tip #5Â Make sure everything you buy is a bargain. My pantry is so well stocked now because I have been bargain shopping for a long time. Every time there’s a gonga deal at the grocery store, I stock up. I buy enough to last until the next sale which is usually about 3 to 4 months. I have a walk in pantry, so it gives me the space, but my mom puts her’ s in the garage in tightly sealed containers. I have also invested in an upright freezer which gives me an advantage. You can store alot of meat and frozen fruit slices and frozen sale vegetables in a freezer. If you are just starting out, make a list of the items that you use on a regular basis. Figure out how many you would need for 1 to 2 months and then start watching the sales. If you slowly add to your pantry this way, it won’t be long before you have a well stocked kitchen. Tip #6Â Learn to love your slow cooker. Slow cookers are one of the best kitchen time savers out there. The other is the pressure cooker which speeds things up instead of taking all day. Everyone can master a slow cooker or pressure cooker ( no – they don’t blow up!). Dust yours off and put it to good use. Tip #7Â Learn recipes from other cultures. Living in the Southwestern part of the U.S., there are many Mexican restaurants. You can buy the best corn tortillas, fresh masa dough, and roasted green chilies (heavenly smell) on the planet. We have a lot of Mexican meals at our house. Most of these dishes are very economical as they use cheap ingredients in ways that are flavorful and filling. The same is true for other cultural dishes. Branch out and have fun finding some new recipes to try. Thai food is very gluten friendly, just like Mexican. So are many Indian dishes. You may find new favorites. Learn to save money on your grocery bill and put that savings into something you really want. You will be amazed at how well you can eat for so small a price and how much money you can save. ps… if you find a great deal, you better let me know!